Home Video Video: New Glove Features A Laser. And A Clubface. And Guy With Purple Pants! Video: New Glove Features A Laser. And A Clubface. And Guy With Purple Pants! I'm all for new innovations in training aids and think these guys might just be on to something with their "InGlove" glove which features a built in laser. 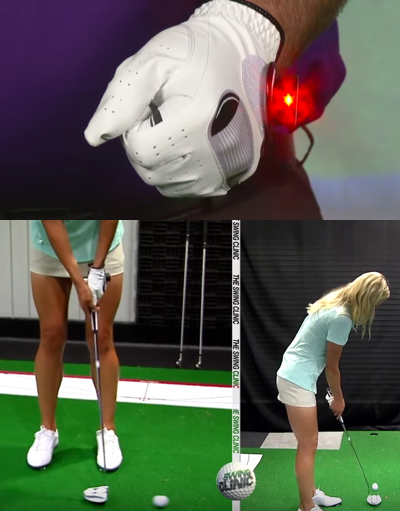 There's definitely merit in the laser idea to help display swing path. Unfortunately the cringe factor then goes up rapidly after someone then went and stamped a big clubface on the back of the glove. The demo video starts pretty good too but takes a turn for the home shopping channel when an enthusiastic guy in purple slacks and Christina take over. Still though, it's a good idea!